Amsterdam is the place to be if you want to enjoy a city trip on a tight budget. This city is crawling with comfortable and affordable hostels. Personally, I prefer booking a hostel when with friends as it’s a lot of fun; if I go on a weekend away from home with my boyfriend, I prefer a hotel. A hostel is the perfect place to meet other travellers and share your experiences. 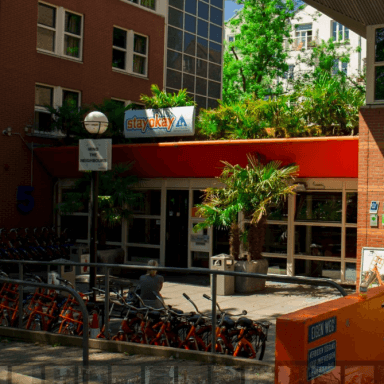 As hostels aim to offer rooms at the lowest possible prices, they are often located outside the city centre. If you like the idea of staying in a hostel, take a look at my pages which discussr bicycle rental and public transport in Amsterdam. I have described some of my favourite city-based hostels below. I hope you find one you like the look of! In terms of location, nothing beats the Stayokay! This hostel is located in Amsterdam Oud Zuid’s Vondelpark, a green oasis in the middle of the busy city. Due to its central location, this hostel is best suited to those who prefer to explore the attractions in the city itself. This hostel offers bikes for hire and the rooms are generally very clean! 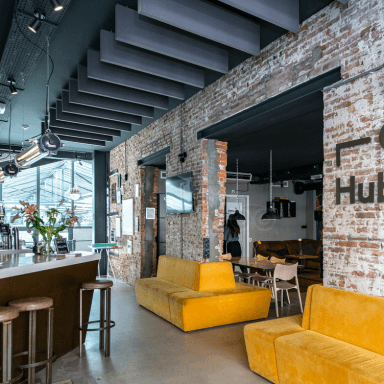 A stay in Cityhub Amsterdam is an experience you’ll never forget. The hostel consists of sleeping cabins or pods for two and the bathrooms are shared with other guests. 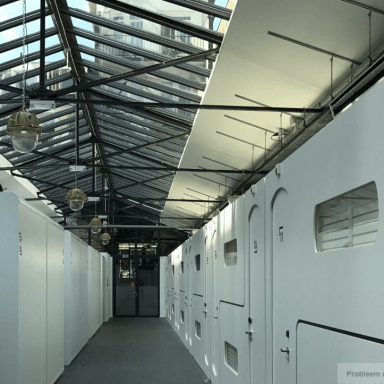 These sleeping pods give this hostel a really futuristic look. A special app that you can install and use during your stay here ensures that help is available at any time of the day. You can even contact other hostel guests with it! 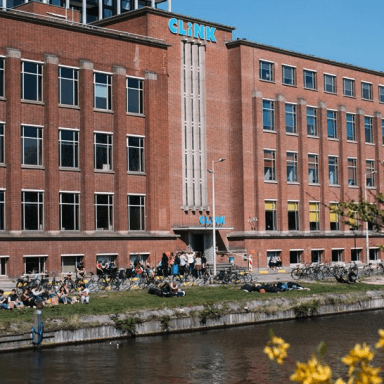 This hostel is located in Amsterdam Noord, easily accessible by the free ferry that sails regularly across the river Ij. 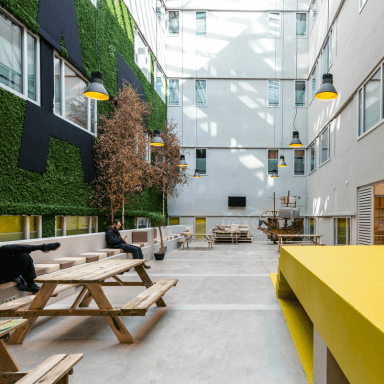 The hostel has simple but well-kept rooms and has taken over the premises of an old laboratory building, meaning the space is full of natural light and pretty wacky. Want to start the day right? The all-you-can-eat breakfast buffet at hostel ClinkNOORD is excellent! You can also book private rooms here if dormitory life isn’t your idea of fun. 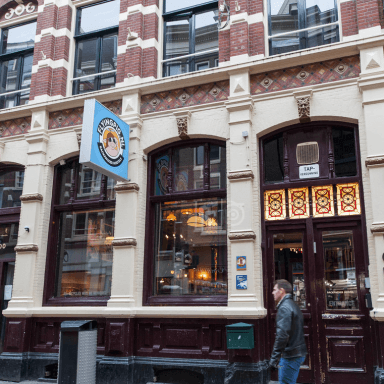 The Flying Pig Downtown is located in one of the Amsterdam’s best-known city-centre shopping streets – the Nieuwendijk. Anyone who wants to spend a lot of time discovering the city centre’s attractions, shops and nightlife will love this hostel! 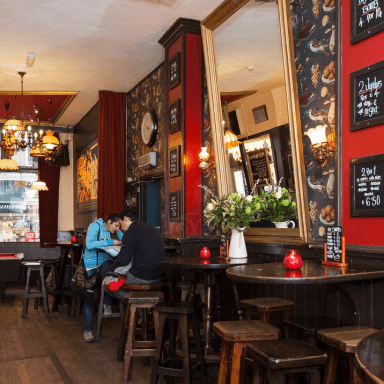 Only a 3 minute walk from Centraal station, so you’re there before you know it and can immediately get your incredible Amsterdam experience started. You never have to leave the building if finding a friendly bar is top of your to-do list! 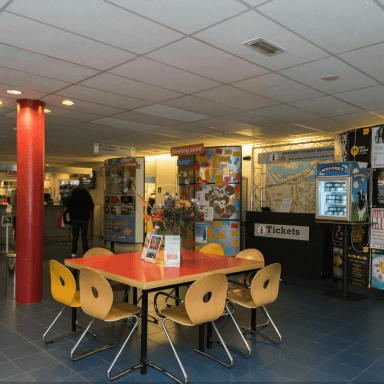 Do you know of any other great hostels in Amsterdam? Drop me a line. You never know, maybe your hostel will end up on my exclusive list! 656 visitors rated Hostels average 4.65 stars out of 5.